ISLAMABAD: The Dawn Leaks inquiry committee report has suggested removing Prime Minister’s Special Assistant on Foreign Affairs Tariq Fatemi and Principal Information Officer (PIO) Rao Tehsin, sources said. The committee was formed to probe the leaks issue. Army had demanded to unveil the names of the elements involved in the the leaks. 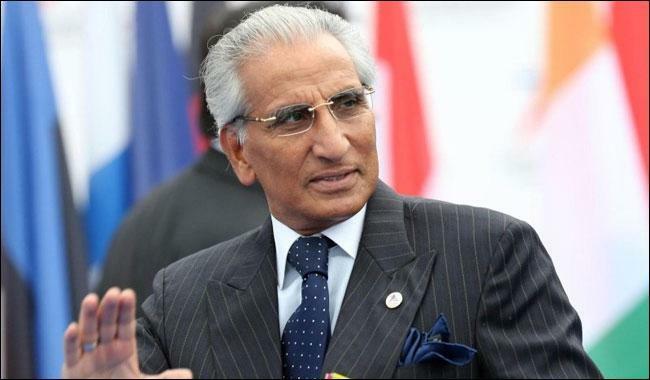 Today, Tariq Fatemi called on Prime Minister Nawaz Sharif during which the said report was also discussed. It is expected that the PM’s Special Assistant may resign soon. According to details, the report also includes forensic analysis of Senator Pervez Rasheed’s mobile phone, who was the information minister at that time and was directed to step down to ‘enable holding of an independent and detailed inquiry’. Evidence available so far points to a lapse on part of the information minister, a statement from the Prime Minister House had said. The reporter sent 11 messages to the minister seeking his response but most of them were not responded by the senator, the findings concluded. On Monday, Interior Minister Ch Nisar had forwarded the report to Prime Minister Nawaz Sharif for further action. The report had recommended the All-Pakistan Newspapers Society (APNS) to take action against the newspaper. The pictures taken from the Safe City Project are also part of this report.